Bring on the crab! 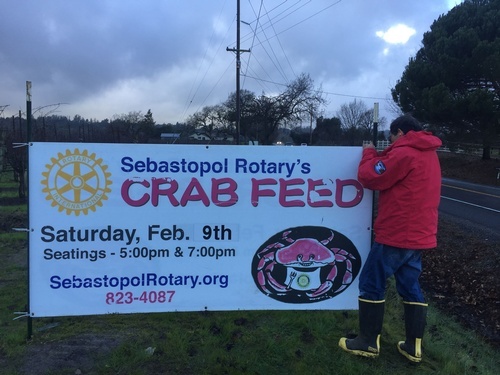 I braved the rain with fellow Rotarian Nao Noguchi to place signs up for the Sebastopol Rotary Crab Feed!!! Online at sebastopolrotary.org or Exchange Bank in Sebastopol. All proceeds go to the Mark Sell Teacher Grant Program, benefiting our hard-working teachers in the west county. Come enjoy the freshest crab in the county, dance to the Luv Rustlers, and do something good for your community!